It might still be quite early in December but Christmas is definitely in the air. 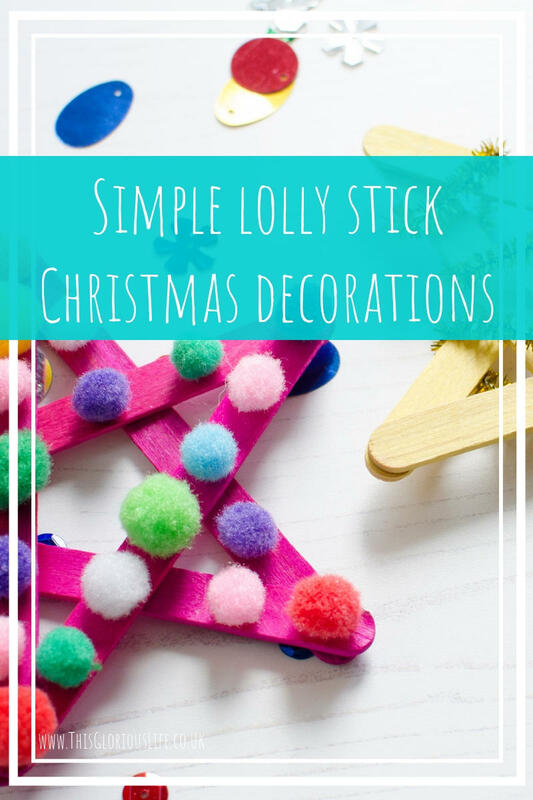 If you want a craft activity to do with your children to get in the festive spirit then take a look at these fun lolly stick Christmas decorations. I’ve made stars and Christmas trees, using the same basic idea and same materials, which can be hung on the tree or propped up on the mantelpiece. 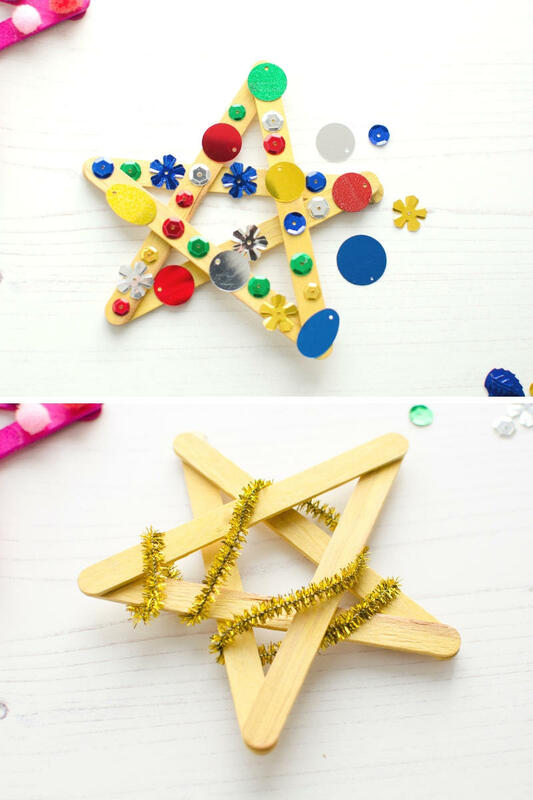 You can use glue or glue dots to do this and generally both options give you a bit of time to wiggle the sticks into place to make the perfect star shape. 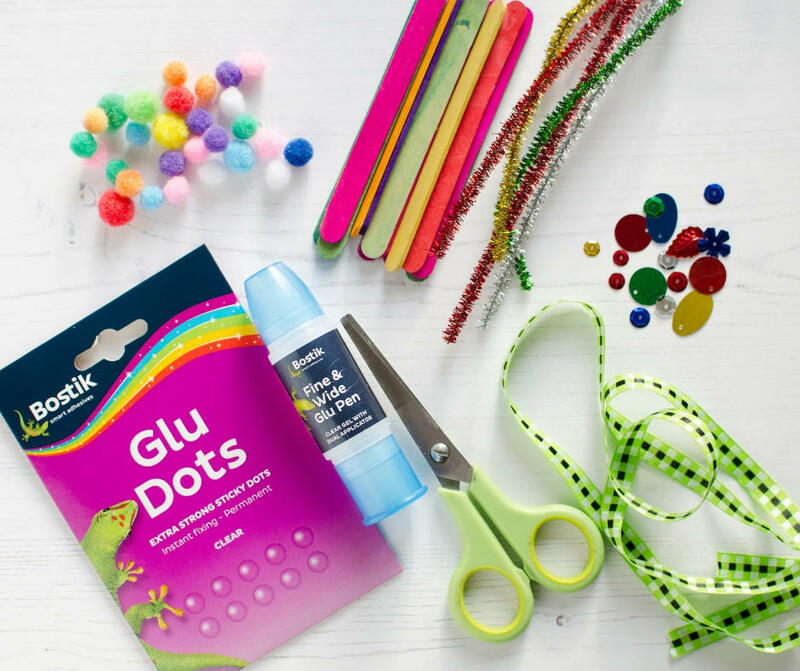 Once the glue has dried and the star shapes are secure you can start to decorate them. 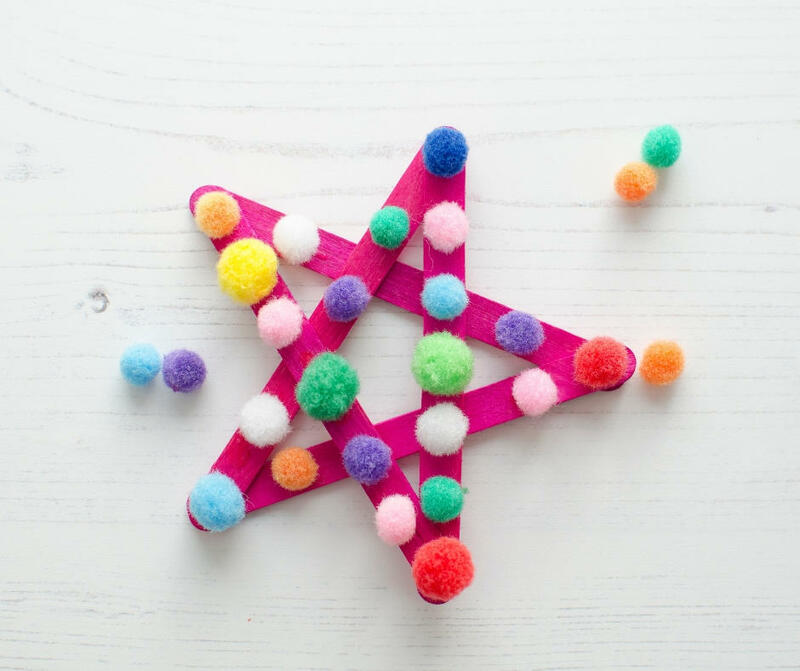 Using glue or glue dots stick mini pom poms or sequins all around the star. 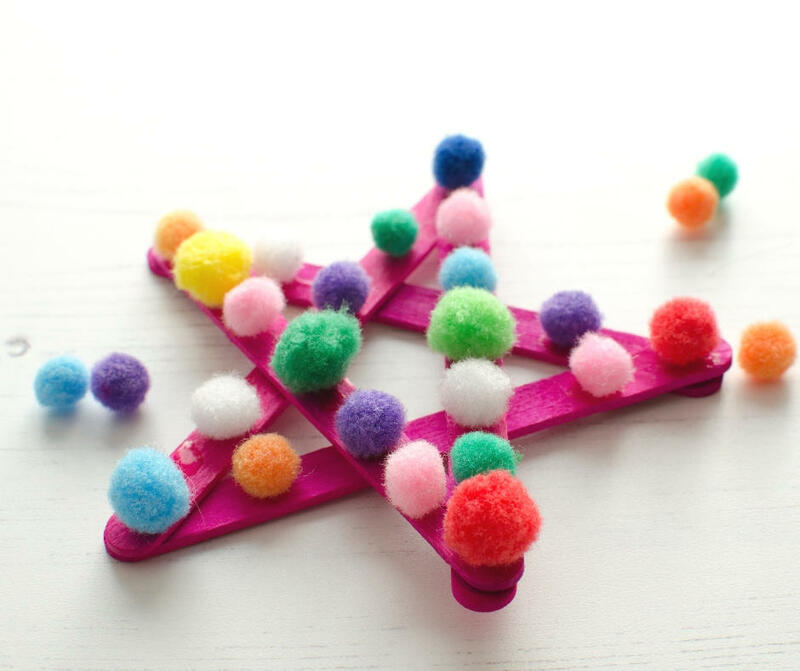 An alternative idea is to carefully wrap a pipe cleaner around the star. Or you could go all out and do both pipe cleaners and sequins/pom poms. It’s completely up to you and the look you want to go for. 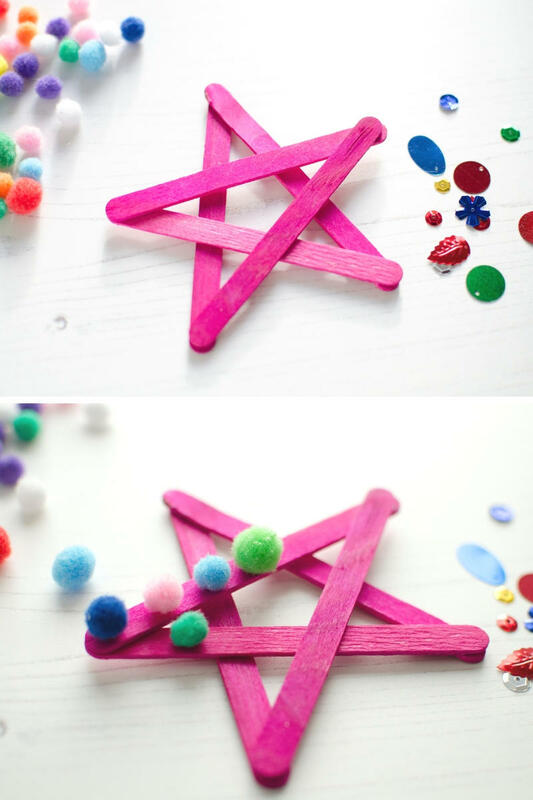 Once you’ve decorated the stars you can stick a loop of string or ribbon on the back of one of the points so you can hang it up. 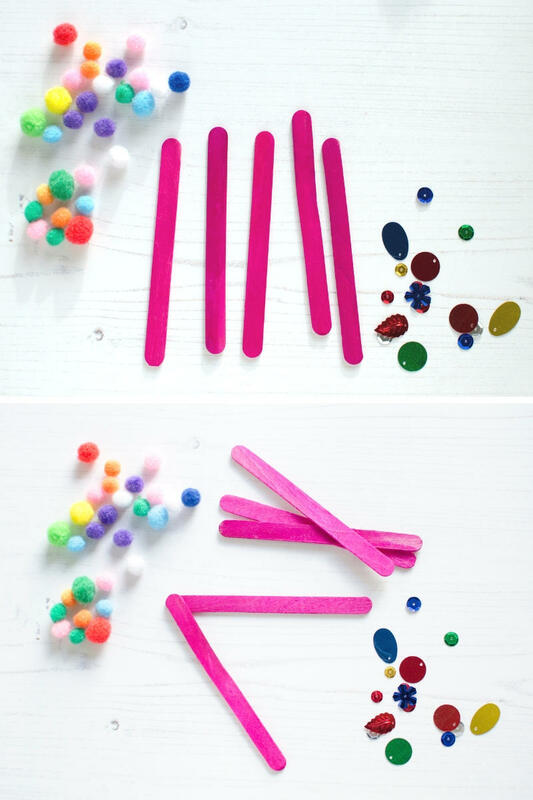 To make the Christmas tree decorations you need to get 3 lolly sticks and cut about inch from the end of one of them. 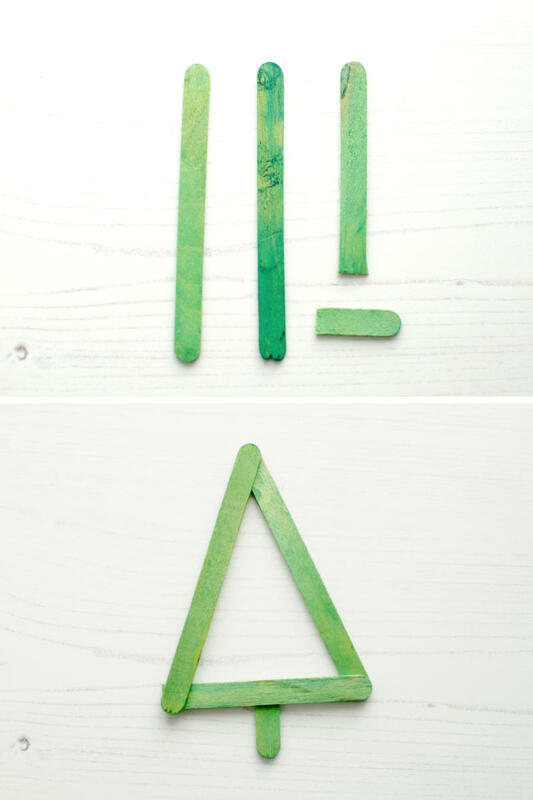 Glue the 2 full sticks and the shortened one together to make a tree shape. Then glue on the extra bit to look like the trunk. Once the glue has dried you can decorate your trees. The idea here is just the same as it is for the stars. 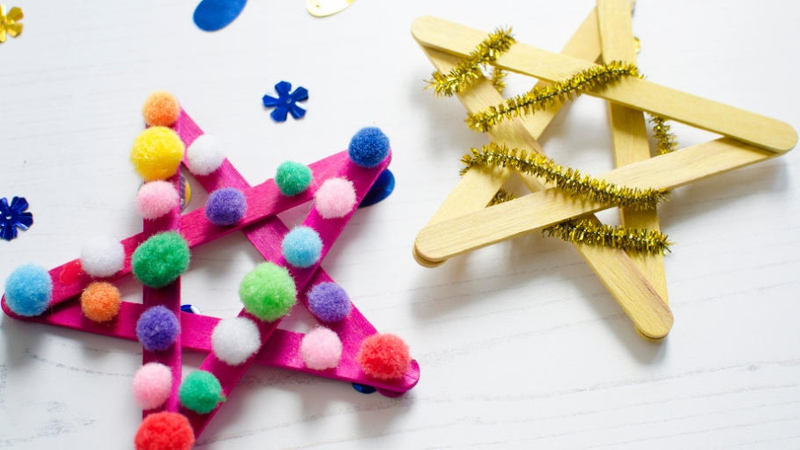 Decorate some trees with mini pom poms and sequins, and wrap pipe cleaners around others. 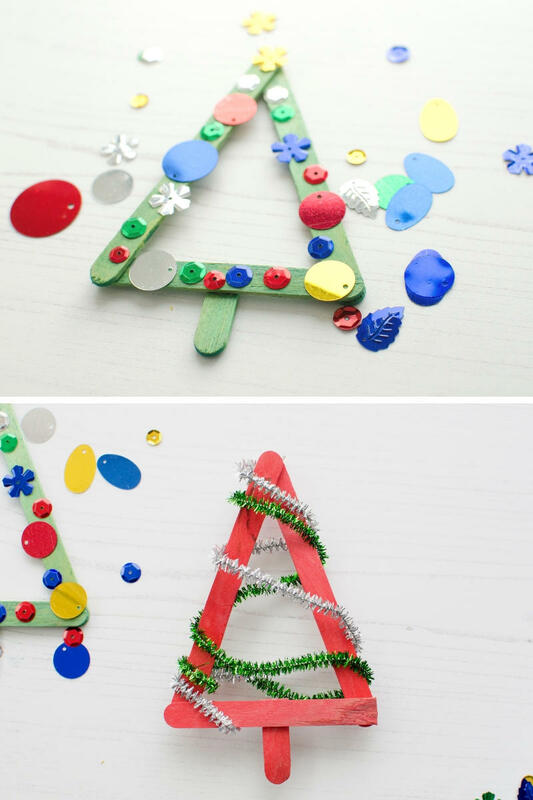 Really simple and fun to make decorations to brighten up the house even more this Christmas. 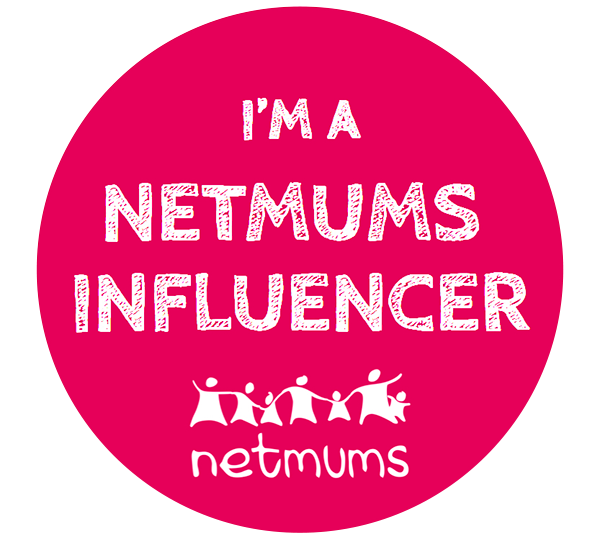 Disclaimer: I was sent a box of craft items for the purposes of this post, but all ideas, words and photos are my own.